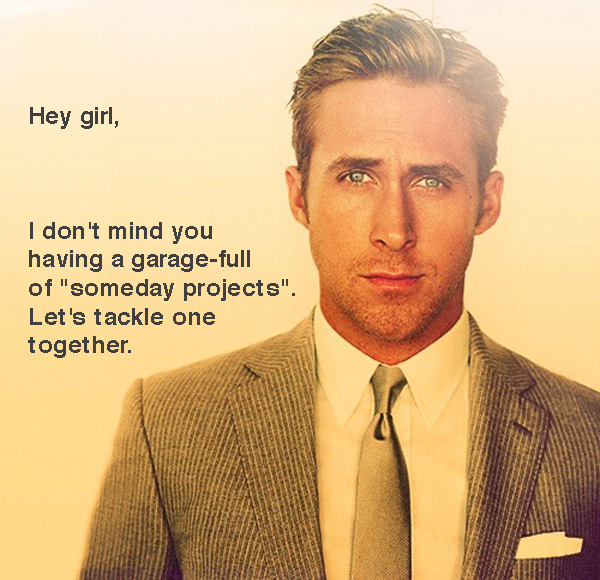 If you've visited Pinterest, chances are you've ran across one of the 'Hey girl' Ryan Goslin photos floating around. The ones that he's directly talking at you, telling you exactly what you want to hear. Like these. 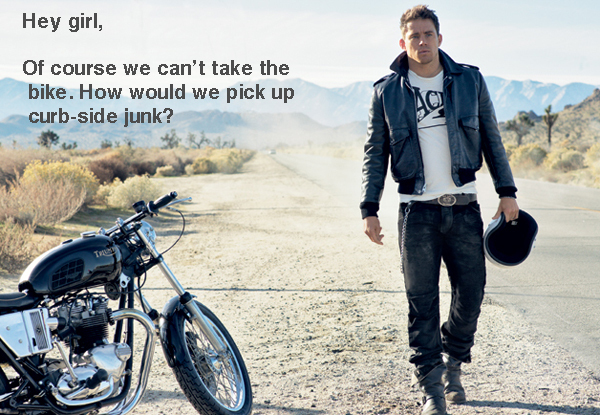 After seeing Magic Mike this weekend, I think Channing Tatum should be the next 'Hey girl' poster hottie. 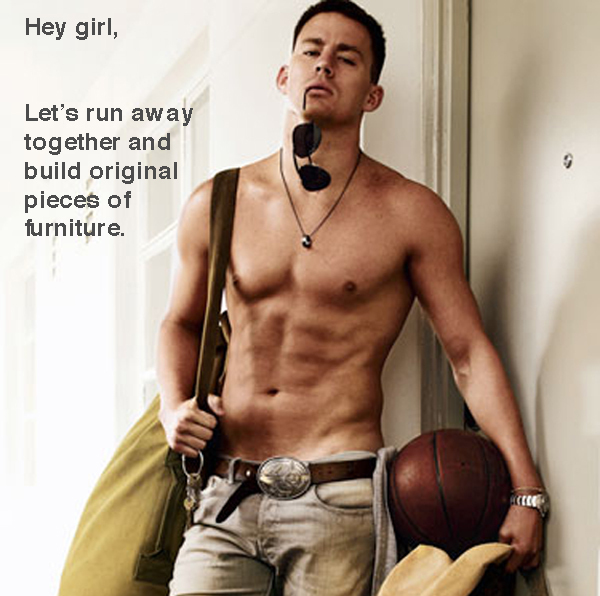 Channing plays a stripper but has big dreams of being a furniture builder. In the movie, Magic Mike is asked, if money was no object, what he'd like to do for the rest of his life. His answer is somewhere along the lines that he'd like to be in an island somewhere where he could wake up every morning and build something everyday. Really?! LET'S GO, MAGIC MIKE!!! 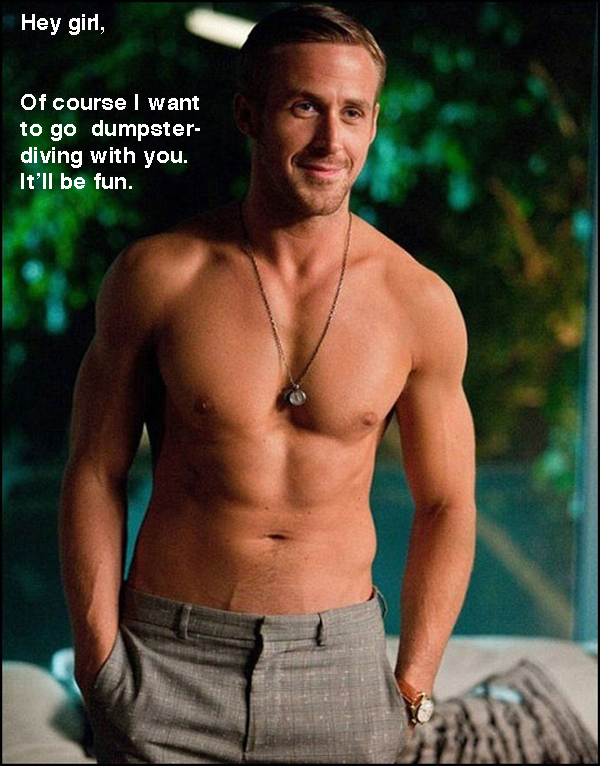 His 'Hey girl' posters would look something like these. I must go now. I have to clean the drool off my laptop. Have a happy Monday, everybody!! Ryan and Channing... my two fave boys ever! I am dying to see Magic Mike and these "hey girls" make me laugh and drool all at the same time. My husband is relieved this movie is finally out because every time a commercial comes on I stop whatever I am doing and zone out for two whole minutes. Too awesome! Thanks for posting!